Things related to this addiction have been mentioned by me many times here. But I think I just realized how much help I need. I have 3 customs, one pretty much done and just needs wheels, 1 sorta in progress, and one very much in progress. Then I have the stripped body’s. These are two of the customs. The left is supposed to be aDeep black GTI, and the right isReflex silver. I painted 4 white GTIs- and the one I got was still crap. These 2 are going to be my next attempt at white. Right was just shits and giggles. Right is going to be Midnight Blue, left is carbon steel. Here’s my first GTI custom. 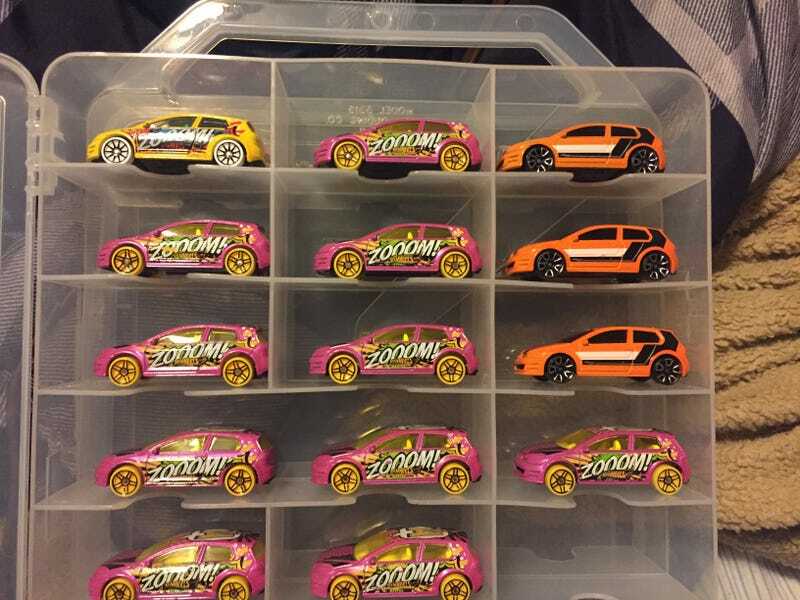 So in total I have 15 regular GTIs, and then 12 others in various stages of completion. And nearly all of them are the pink, meaning I have an excess of yellow glass. I also have a single metal base from a Euro style GTI that was used for wheels by Group44fan. That’s going on my dads replica car. In total, I have 27 Golfs. Also, yes I realize they’re not even GTIs but just normal Golfs. But whatever. I think it’s starting to reach philiphilip 356 levels of addiction.... and I’m pretty sure the only way out is to buy every Golf I see until there are no more to buy. Right?